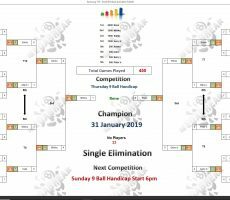 THURSDAY 9 BALL – 31st JANUARY : RENE WINS. 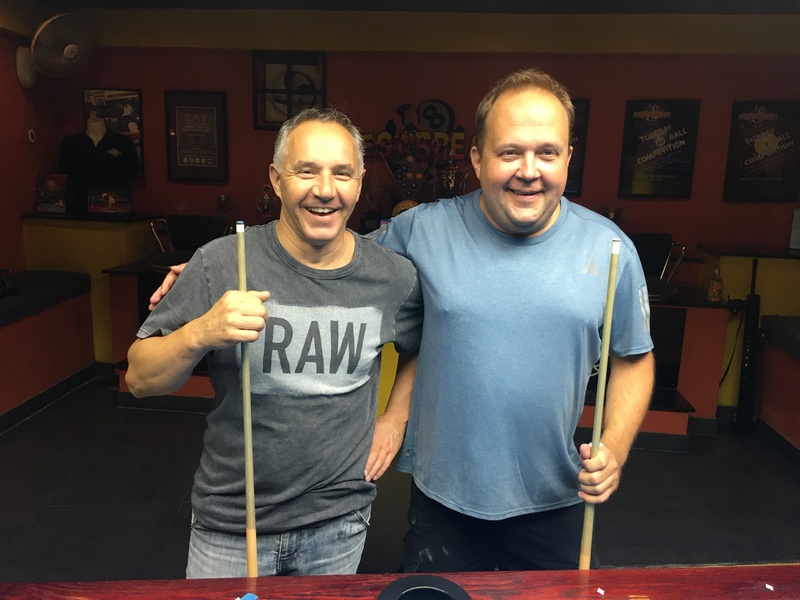 Switzerland’s Renè Heiniger won his first tournament here for almost three years on Thursday night to be our 9 Ball champion. 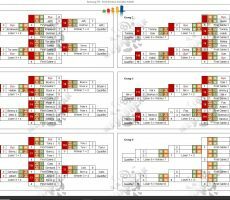 From a total entry of 33 players, he beat Miikka Karila from Finland in the final by 8 racks to 1 (race 8-3) to lift the trophy and pocket the 1st Prize of 6000 baht. He was on top form all night long to stay undefeated through five straight matches, losing a total of only 4 racks whilst winning 34, such was his dominance over his opposition. 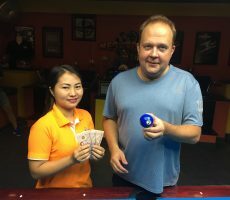 Miikka reached the final for the second consecutive Thursday, but once again had to settle for the Runners-Up spot and 3000 baht. 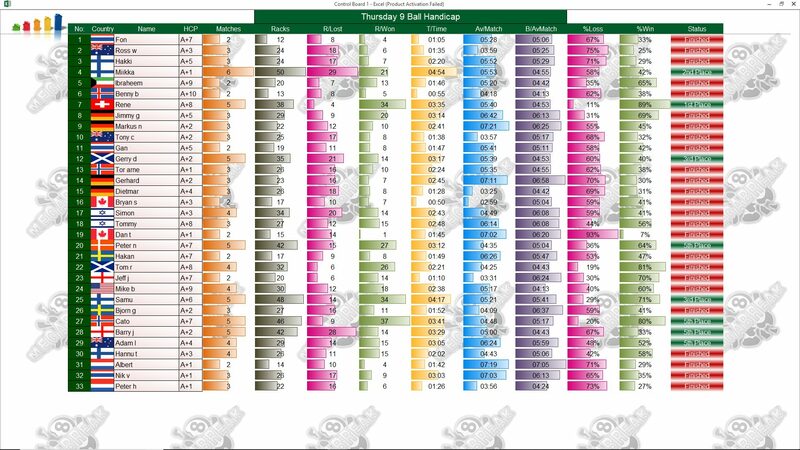 His handicap now moves up to A+2 for the first time as a result. 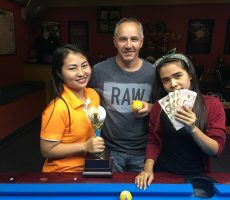 Miikka’s fellow countryman Samu Laine was once again involved at the business end of the tournament, reaching the semi-finals along with Scotland’s Gerry Dewar, and they each took home 1500 baht. Champion : Rene (A+8) – 6000 baht. 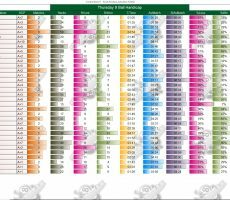 Runner-Up : Miikka (A+1) – 3000 baht. 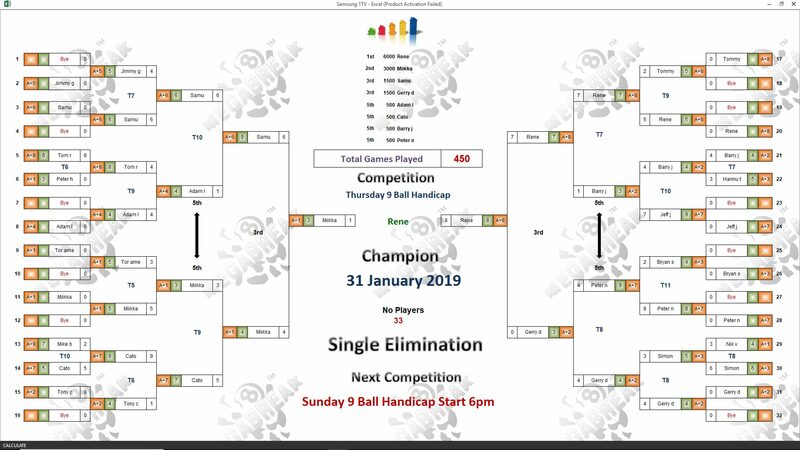 Semi-finals : Samu (A+6) and Gerry (A+2) – 1500 baht each. 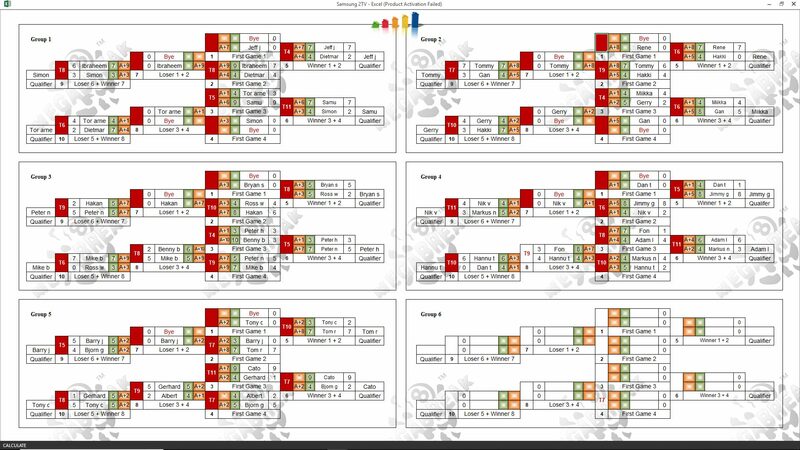 Quarter-finals : Cato (A+7), Peter Nielsen (A+7), Adam Lux (A+4) and Barry Johnston (A+2) – 500 baht each. The Player Auction Prize Fund totalled 50900 baht and was won by Mike Berezovsky. He bought Rene for 1700 baht, and they shared the 1st Payout of 14400. 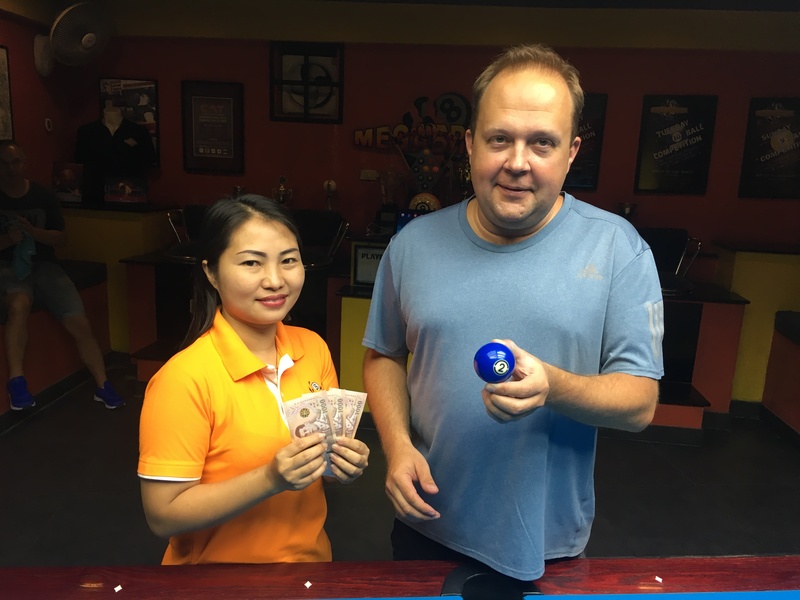 1st : Mike (Rene) – 14400 baht. 2nd : Håkan (Miikka) – 10000 baht. 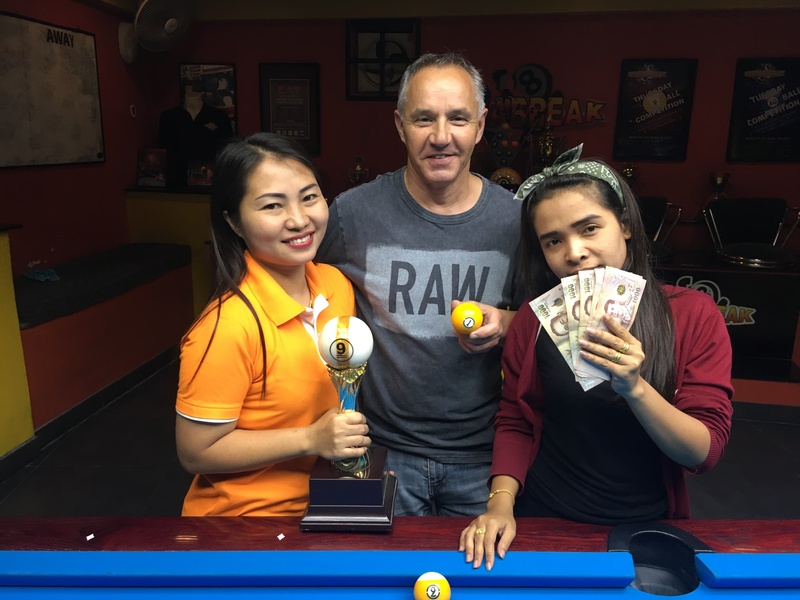 Equal 3rd : Dan T (Samu) and Gerhard (Gerry) – 6000 baht each. Equal 5th : Cato (Himself and Adam), Peter Jiskoot (Peter N), and Dan T (Barry) – 3000 baht each.